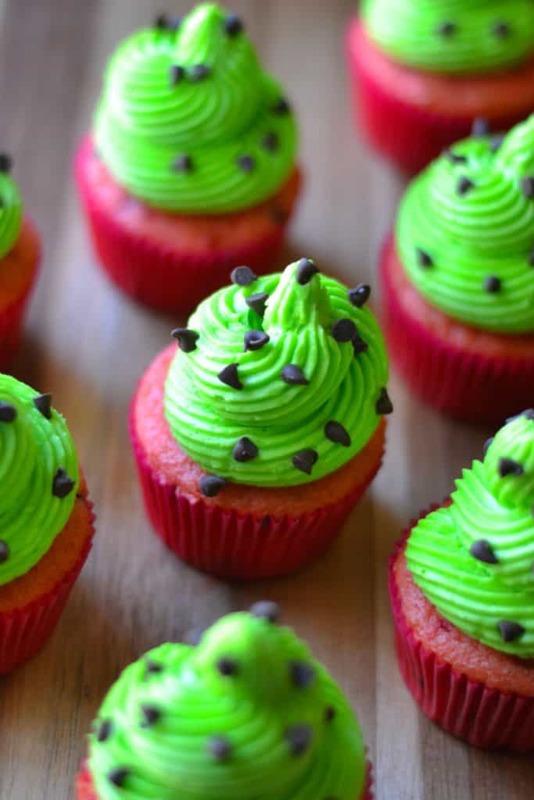 Watermelon Cupcakes are sweet, adorable and and the easiest sweet treat to make. Perfectly festive and fun, these Watermelon Cupcakes are the perfect dessert to share at all of your pool parties and summer BBQs. Nothing embodies the word ‘picnic’ like watermelon does and these Watermelon Cupcakes are the perfect thing to bring to any spring and summer gathering. Besides, is there anything cuter in this world? I think not! Now, as I mentioned in my Maple Bacon Cupcake post, I am a huge fan of boxed cake mixes when it comes to making cupcakes. I know, I know.. no one like to talk about it but boxed mixes do serve a purpose.. especially for those of us who are not (yet) the best bakers and who are also short on time. They are convenient and honestly put forth light, fluffy cupcakes if you tweak the recipe and help them along a bit. If you are a natural born baker, you are my hero! 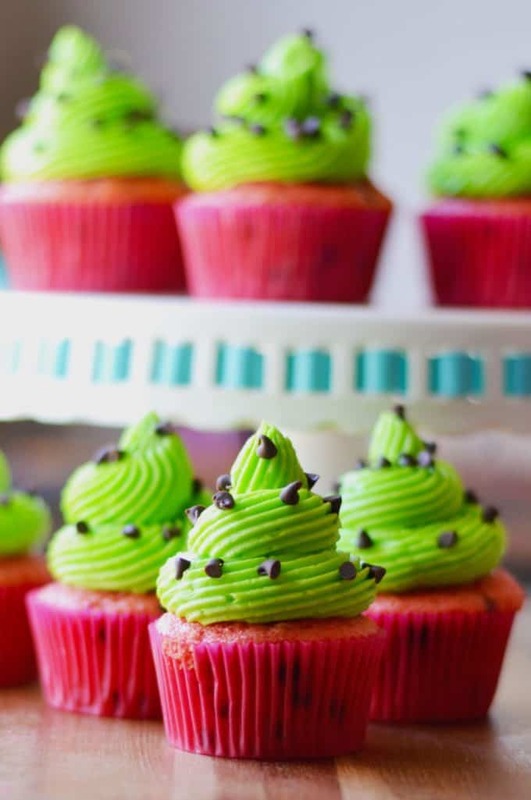 Feel free to use your favorite scratch made cupcake recipe for these Watermelon Cupcakes. 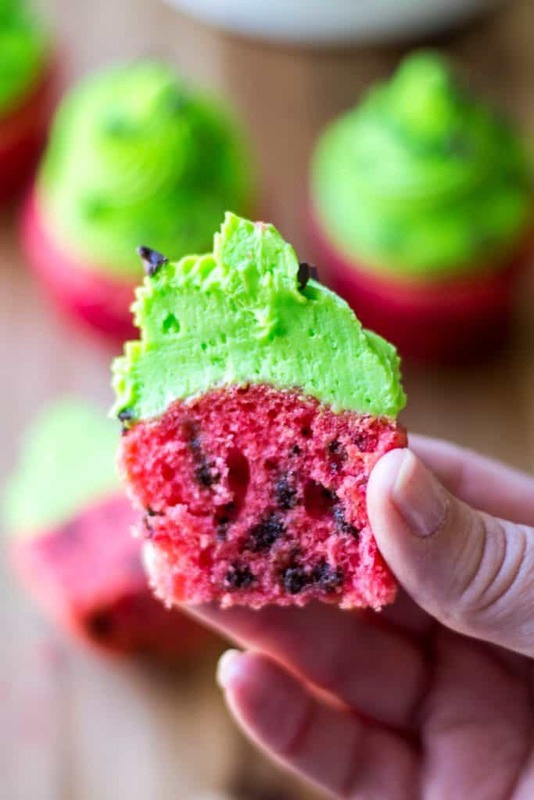 IS THERE REAL WATERMELON IN THESE WATERMELON CUPCAKES? Sadly, no. 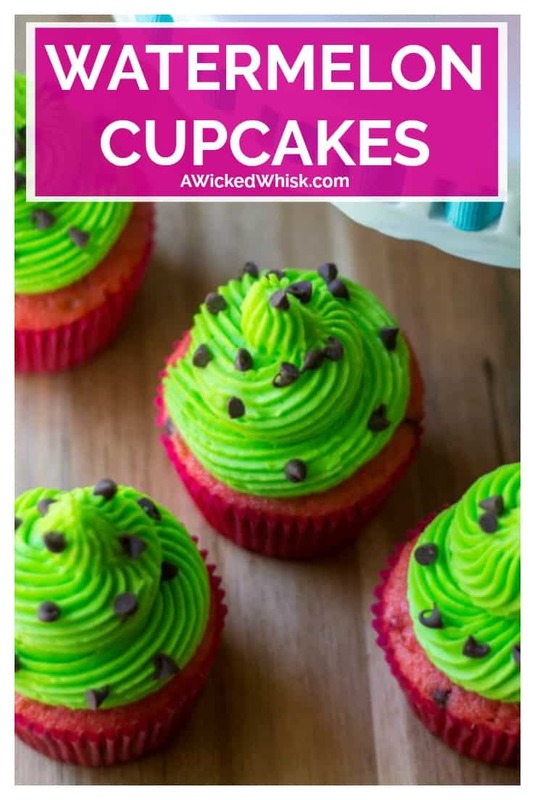 There are recipes out there that use real watermelon or watermelon flavored products for their Watermelon Cupcakes but this Watermelon Cupcakes recipe is more for looks than anything. 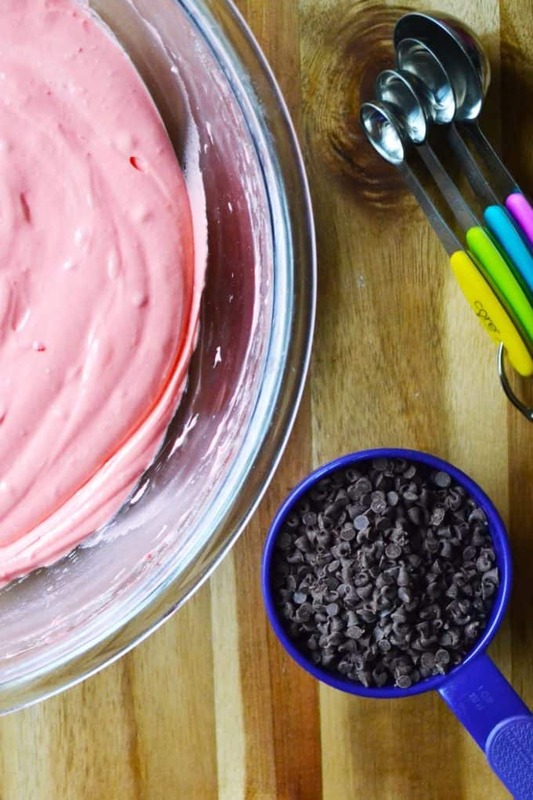 I use a boxed strawberry cake mix in this recipe and I promise I have never once had anyone ever complain that it didn’t taste like watermelon. 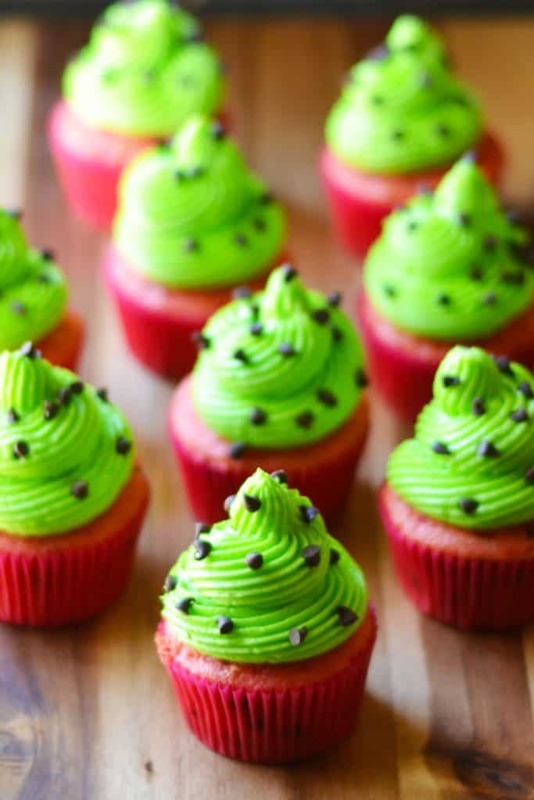 HOW DO YOU MAKE WATERMELON CUPCAKES? Easy! Start your Watermelon Cupcakes by preheating your oven to 350 degrees or whatever the boxed cake mix calls for. Combine your batter as instructed on your cake mix box. 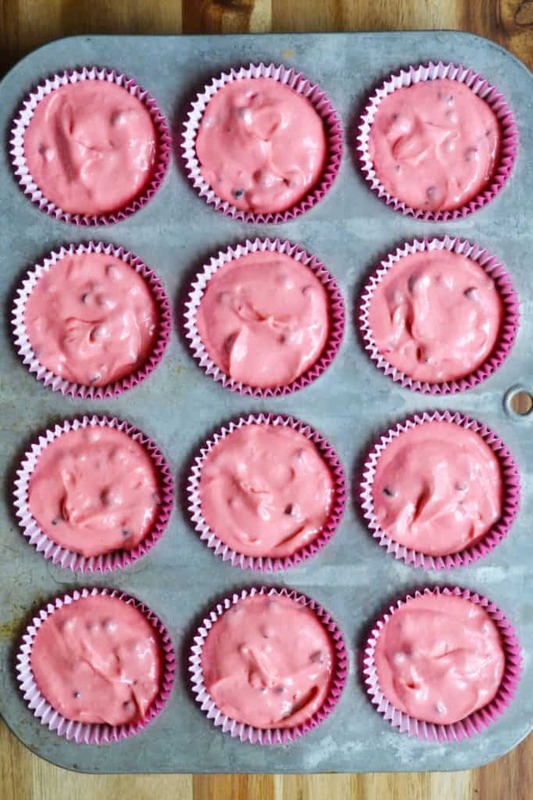 Add in a pinch of red food coloring gel and then follow the box instructions regarding mixing times and when you are done, stir in the mini-chocolate chips and then spoon the Watermelon Cupcake batter into the cupcake tins which have either been coated in non-stick spray or filled with cupcake liners. Fill the tins 2/3 of the way full. Bake as the box instructs and when done, remove from the oven and let sit 2 minutes before removing the cupcakes to a cooking rack. Let cupcakes cool completely before frosting. Once your cupcakes are cool, make your frosting. In a large bowl and using an electric mixer, whip your butter until creamy. Add in your powdered sugar, vanilla, cream and salt. Mix to combine. Add in your green food coloring (and a bit of yellow too, if you have it) and then mix to combine. 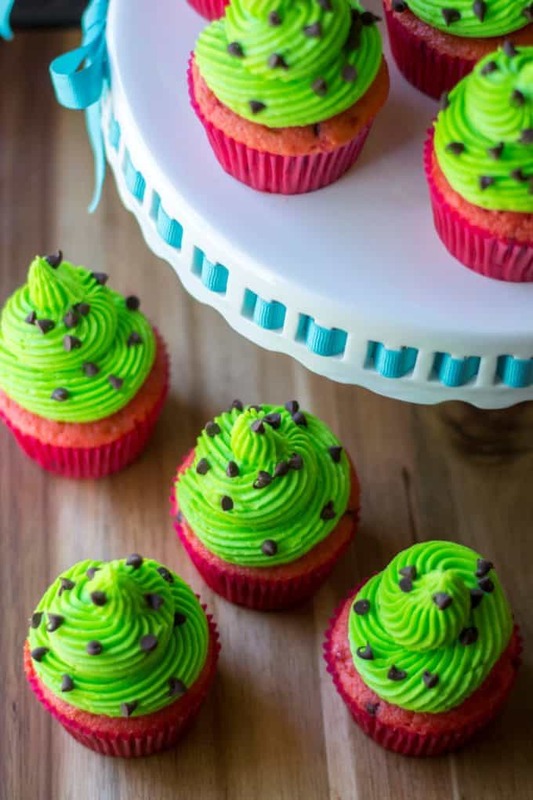 Spoon your frosting into a piping bag or a storage bag with the corner snipped off and frost your Watermelon Cupcakes or grab a butter knife and forget the piping bag. 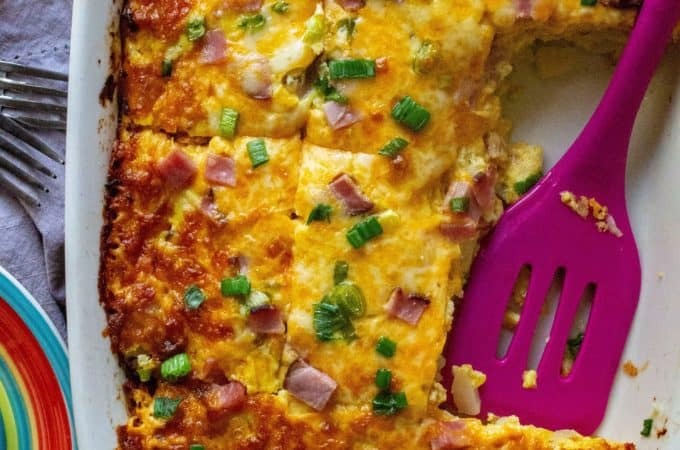 Sprinkle with mini-chips to finish. Start by preheating your oven to 350 degrees or whatever the boxed cake mix calls for. Add in the food coloring (go heavy, the color lightens as it cooks). 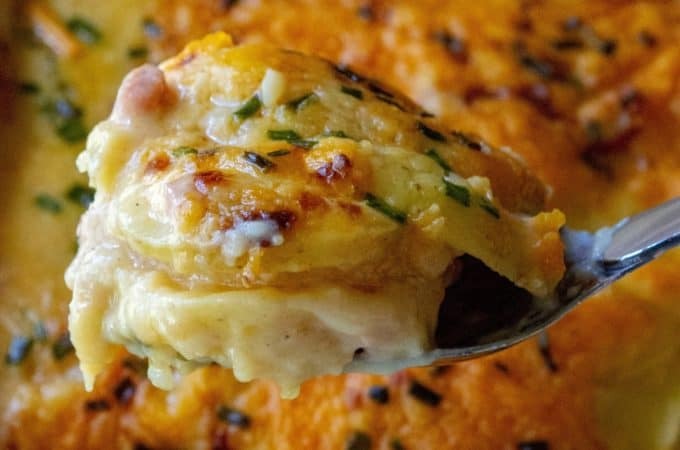 Continue to follow the box instructions regarding mixing times and when you are done, spoon the batter into the cupcake tins which have either been coated in non-stick spray or filled with cupcake liners. Fill the tins 2/3 of the way full. Bake as the box instructs and when done, remove from the oven and let sit 2 minutes before removing the cupcakes to a cooking rack. Once your cupcakes are cool, make your frosting. In a large bowl and using an electric mixer, whip your butter until creamy. Add in your green food coloring (and a bit of yellow too, if you have it) and then mix to combine. Spoon your frosting into a piping bag or a storage bag with the corner snipped off and frost your cupcakes. 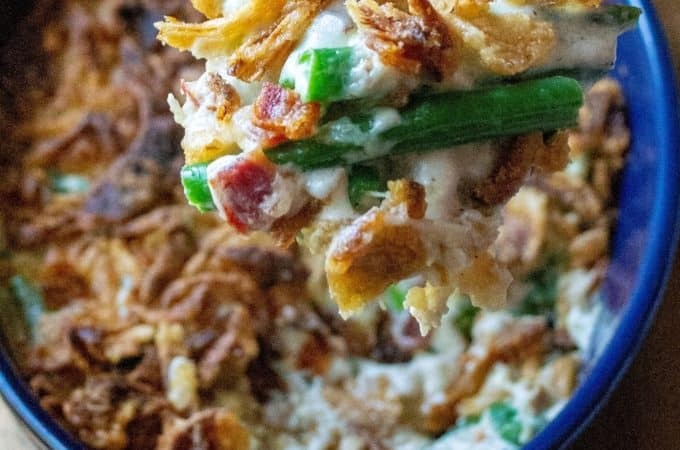 I don’t know what date this recipe was posted, but I’m going to ask my question and hope the blogger sees it and is able to provide an answer. 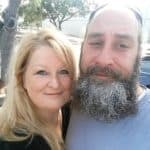 Do you recall what brand of cake mix you used? I made a version of these on Father’s Day 2016, and the mini chips all sank to the bottom. I used the flour trick and gave each cupcake a stir before they went in the oven. Came across this method this morning, and decided to try again with a Duncan Hines mix using your adjustments. However, my batter is substantially thinner/more runny than yours appears to be. I attributed the sinking chips to this in my previous attempt. I read elsewhere that chilling the batter may help, so the batter is in the fridge right now. If it doesn’t, I’ll try again, maybe using a pudding-in-the-mix variety, or even adding a box. I hope to make these often this summer, if I can get the kinks out. 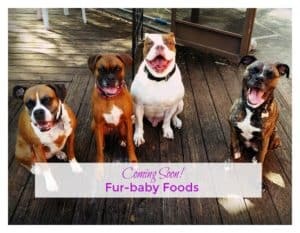 Any chance you recall the brand name?